To switch from iPhone to Android phones like Samsung and Huawei, our biggest concern would be how to seamlessly sync those purchased Apple contents, be it purchased iTunes music, purchased iTunes movies, purchased iTunes ebooks/audio-books and apps to the other operating system. How do we move iTunes purchases to Android phones so that we can safely ditch Apple without losing contents we've paid for? DearMob iPhone Manager understands your worries and offers a complete solution to sync iTunes purchases to Android. It stably and swiftly unlocks iTunes purchases from iPhone to Android, especially those paid media, including music albums, hot singles, movies, and audio-books. ★ Batch transfer purchased music/movies/books iPhone to Android. 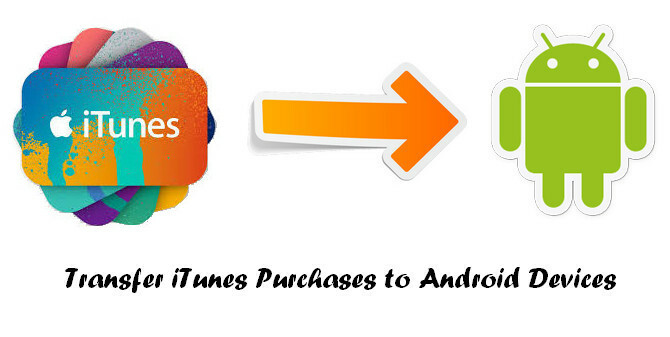 ★ Selectively transfer purchased music/movies/books iPhone to Android. ★ Exports purchased videos with encryption. To take complete iTunes music library to Android phone, purchased songs are of great importance. And as iTunes purchases are all synced with your Apple devices, including iPhone/iPad, DearMob iPhone Manager hence finds a way to help unlock iTunes purchases from iOS end, so that we can easily transfer iTunes purchased songs to Android. Step 1: Launch DearMob iPhone Manager for Windows or Mac. Note:Make sure that your iOS system and iTunes are updated to the latest version and logged in with the same Apple ID. Step 2: Connect iPhone with your computer via lightning cable. Step 3: Download all purchased songs from Apple Music to your iPhone and enable iCloud to sync songs to your iTunes. Step 4: Click to download songs from iCloud to iTunes Library so that DearMob iPhone Manager can access to the songs and unlock iTunes purchases. Step 1: Visit the "Music" tab on DearMob iPhone Manager. There you shall see purchased songs shown in a list tagged with "DRM". Step 2: Choose songs you want to remove DRM from and click on "Export" which will take you to a dialogue box saying "This song is protected by iTunes DRM", click on "Remove"
Step 1: Visit the "Remove DRM" tab on the main interface, locate and select your purchased Apple music under "Music". Step 2: Click on "Remove DRM" button. Step 1 Connect Android phone with computer with a cable. Step 2 Access your Android phone internal storage. Step 3 Drag-n-drop thoes purchased songs to Android storage, say the "Download" file folder. To transfer iTunes purchased movies to Android, DearMob iPhone Manager smartly helps you do that from your iOS devices. Since all purchases can be synced to your iPhone as well, you should download those purchased movies to iOS end first. Step 1: Download, install and launch DearMob iPhone Manager for Windows or Mac, while also upgrade your iOS system, iTunes to the latest version. Step 2: Log in to both the iTunes Store APP on your iPhone and iTunes with your own (THE SAME) Apple ID, launch DearMob iPhone Manager before you USB connect iPhone to computer. Step 1: Visit the "Video" tab on this best DRM removal software, where you shall see movies purchased with your current iTunes account shown in a list tagged with "DRM". Step 2: Choose the very movie you want to remove DRM from, click on "Export", which will take you to a dialogue box saying "This movie is protected by iTunes DRM", click on "Remove"
To transfer iTunes purchased audiobooks to Android, DearMob iPhone Manager smartly helps you do that from your iOS devices. Since all iTunes purchases can be synced to your iPhone as well, you should download those purchased audiobooks to iOS end first. Step 1: Download and open DearMob iPhone Manager for Windows or Mac, make sure that your iOS system and iTunes are updated to the latest version and logged in the same Apple ID. Step 3: Sync purchased audiobooks from iBook or from iTunes to your iPhone. 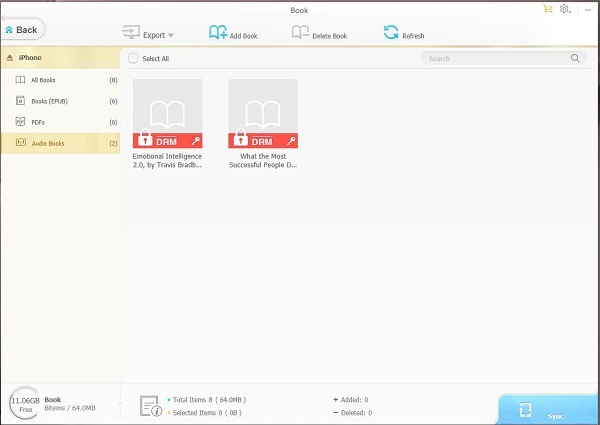 Step 1: Visit the "Book" tab on DearMob iPhone Manager. There you shall see purchased ebooks and audiobooks tagged with "DRM". Step 2: Choose audiobooks you want to remove DRM from and click on "Export" which will take you to a dialogue box saying "This song is protected by iTunes DRM", click on "Remove". Please keep iTunes open throughout the Audiobook DRM removal process, otherwise the it could crash halfway. Step 1 Connect Android phone with your computer with a cable. Step 3 Drag-n-drop thoes purchased audio-books to Android storage, say the "Download" file folder.